The Chinese puzzle over who pulls the strings at Blues has taken another mysterious twist amid rumours Carson Yeung&apos;s common-law wife has bought a large slice of the club. New speculation the jailed majority shareholder is strengthening his grip on St Andrew&apos;s from his Hong Kong prison cell has emerged after Blues were forced to issue a statement under Football League rules. 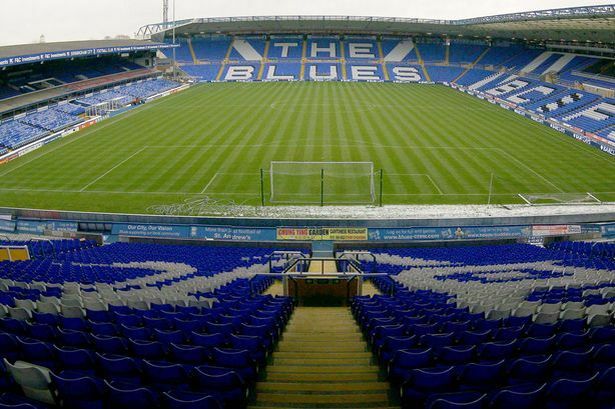 The statement on the club&apos;s website confirmed a mystery investor called Wang Li now owned 12,988,579 shares in Blues through Birmingham International Holdings Ltd (BIHL), which owns nearly 97 per cent of the club. League rules specify clubs must identify shareholders with more than a ten per cent interest. Wang Li&apos;s stake is surpassed only by Carson Yeung, with a 27.61 per cent stake comprising 22,503,563 shares. The Blues statement said: "Birmingham City plc has been notified of the following interests in over ten per cent of its issued share capital as at December 8, 2014. "This information is provided pursuant to the rules of the Football League Ltd.
"Of the total issued share capital in Birmingham City plc, Birmingham International Holdings Ltd owns approximately 96.64 per cent. Holders of shareholdings in excess of ten per cent are Yeung Ka Sing Carson (28.57 per cent) and Wang Li (16.49 per cent)." On his popular Often Partisan website, Blues fan Daniel Ivery suggests that Wang Li may be Joanna Wang, the common-law partner of Carson Yeung and mother of his two youngest children. Nobody at Blues has confirmed the identity of the mysterious new investor and a club spokesman declined to comment on Wang Li&apos;s shareholding. But Ivery, who says he has raised his concerns with the Hong Kong Stock Exchange, claims Hong Kong sources have indicated that Wang Li is the disgraced Yeung&apos;s common-law wife. The deepening mystery over control of Blues comes with the AGM of BIHL just over a week away, when controversial former acting chairman Peter Pannu is up for re-election as a parent group executive director. This is despite him resigning as a director of Birmingham City little more than a week after suggesting the club was facing a £1.8 million tax bombshell. Blues announced that Pannu had stepped down from the board of both the football club and the plc after last week dismissing Pannu&apos;s claims. The club is now run by Panos Pavlakis who, as well as being a board member, is effectively the managing director. Mr Pavlakis, Carson Yeung&apos;s son Ryan and Victor Ma, the BIHL vice-chairman, remain as Blues board members. It is still not clear what role Pannu will having going forward which will depend upon his intention whether to seek re-election to the BIHL board on December 23.